Is my child’s technology use healthy? How should technology be used as a tool for learning? What boundaries should exist for my child’s technology usage? How should faith inform my approach to the digital world? This seminar will not provide black and white answers to such nuanced questions, but create a space to engage them. 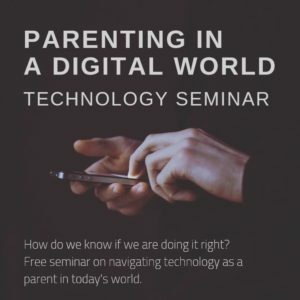 If you are a parent of a child in the digital age, this seminar is for you!